Back in August, we told you that we'd heard BioShock Infinite was having problems with its multiplayer, a feature that hadn't actually been publicly announced. They're problems that, come November, seem insurmountable. Series boss Ken Levine has told Twitter followers that the game won't be shipping with multiplayer. No multiplayer at all. You can read the tweets in question below. 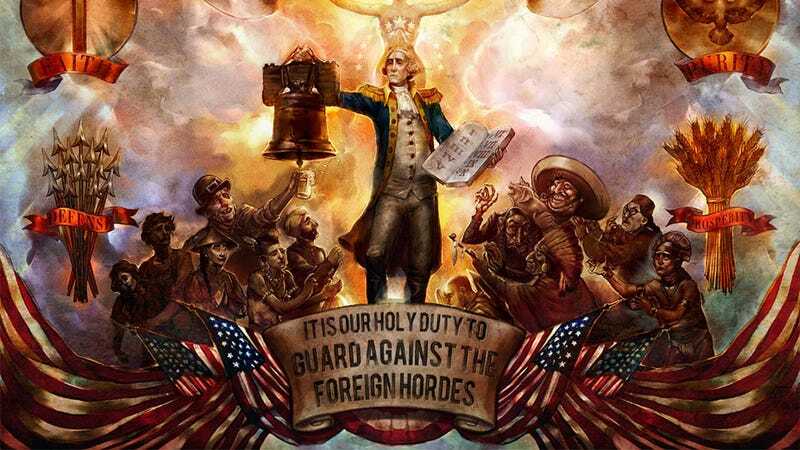 Multiplayer and BioShock Infinite have had an on-off relationship. In 2010, Levine told us the game might not have any multiplayer. Then Kotaku learned two unannounced multiplayer modes, a co-op tower defence game and a version of Call of Duty's "Spec Ops", had been axed from the game. At the time, we were unsure whether any multiplayer modes were left in the game after those cuts. Guess not! The absence of multiplayer shouldn't be terribly surprising, or upsetting to series fans, since the last game Levine worked on, the original BioShock, was also a singleplayer-only experience.